Influencing your brand awareness and ensuring complete eradication of negative listings! Reputation plays an important role in the growth of an organization or an individual. Online Reputation Management is the practice of giving businesses full control over their online search results. As the internet and technology is progressing, the need to protect your company's name becomes a task for you. iMarketing Junkies make sure that negative activities if performed with you are push to the edge. We provide you with our best services to increase the reputation of your business. We know how important reputation is to your business and clients. So let us take care, we just know how to deal with it. We restore what seems lost now. The moment we take control, we target the negative search results about your business and push it down by promoting your business. This way you will see positive transformation of your reputation on the Internet. Search engine optimization (SEO) practice in using keywords so that online reputation management services can apply to increase online reputation. To fight the social media attacks, customer reviews, forum posts, blogs, press release and other negative search results pertaining to your business, you need a manager in online reputation management with time-tested results to manage it. An Online Reputation Manager duty is to examine carefully the name of the company to have a good and positive hold on what the exact stories people discuss about it on the Internet. An online reputation manager uses a number of techniques and tracking methods to search the Internet world related with the company. The Online Reputation Manager finds and drags the negative content down the list of search engine results page. To publish positive and attractive content regarding your business on the various forum, so that the people never look further than the first three pages of search engine results. iMarketing Junkies value your reputation and protect your company's reputation against negative content. We work to make your online profile float to the top of search engine results in order to raise your business. Targeted means to drive relevant traffic to your website. Tracked reporting for website conversions. Reduced monetary risk involved as you only pay for what traffic you receive. Easy to manage, setup or pause. Helps increase prominence in Google search results page. Using paid advertising, in this way, as a supporting strategy with a strong organic (SEO) strategy can really transform businesses' online performance, often relating from an increase in revenue and orders/sales.PPC "display" advertising, known as "banner" adverts, are shown on sites or the search engine results pages with related content/website who have agreed to show adverts. This is a great visual way of stimulating your target audience.Bad management can mean you end up spending money you can't afford, generate lots of website visits but end up with nothing to show for it. - Why necessary these days? Internet users are now spending longer amounts of time on their mobile phone than in previous years. Various technologies, such as geo-location targeting and mobile tagging allow companies to deliver more relevant marketing messages to the consumer.It is estimated that the mobile phone will overtake desktop traffic in years to come. Always structure your account in a simple, relevant way while ensuring landing pages are well designed, include enough information and are useful for the potential visitor. Conversion rate will increase if the correct amount of variables are all satisfied. Ensuring a strong paid advertising strategy takes time and dedication. Using A/B tests can increase your account’s effectiveness. By testing your adverts against other similar ads you can see what’s going wrong and what is working.As a digital marketing agency Glasgow we know finding someone who you can trust can be difficult. This is why we are happy to meet with you and discuss your requirements, for free at your convenience. 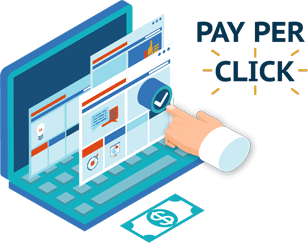 We also understand it can be daunting asking someone to undertake selling your products online, but rest assured we are experts when it comes to Google Adwords. If you would like to request a paid advertising review and analysis then please do not hesitate to contact us.